There was a profusion of perforated panels at this year’s Batimat show in Paris, which indicates that they are likely to be widely specified on buildings in 2016. As Europe leads design style, not just in architecture, our prediction is that perforated panels will be big in the UK during 2016 and beyond. We predict that the sleek, industrial visuals that have dominated building design over the last few years will begin to soften. That means brushed, grained and linen-effect on architectural metalwork will help buildings integrate with the natural environment. Both natural materials and natural themes will be a part of this new trend, with the effect of blurring the boundary between internal and exterior spaces. As part of this we also think that Corten steel will continue to be specified where architects and clients are looking to add a focal point. The movement towards sustainable materials will continue to grow in 2016 as clients and developers look for designs that have a reduced environmental impact. As a result we expect to see a continued focus on functional, practical designs that incorporate more sustainable materials such as aluminium, which is 100 percent recyclable. Hull-based Eltherington, one of the UK’s leading suppliers of high quality architectural, leisure and stockholding solutions, is on a recruitment drive following a period of sustained business growth. The latest job roles at the company are for estimators, press brake operators and welders. Eltherington is looking to fill the estimator role as soon as possible. The position requires someone that is experienced with handling complex enquiries to ensure accurate quotations are produced. The successful candidate will possess excellent oral and written communication, organisation and administration skills plus high standards of IT literacy. Ideally the person will have some relevant technical qualifications and it would also be useful to have experience in Auto-cad, Solid works. Ideal knowledge requirements include an understanding of one of the following; the construction industry, modular buildings, caravan industry or recreational vehicles (RV). Prospects at the company, which has been based in Hull for over 50 years, are good, too, with the announcement of a multi-million pound investment in a new manufacturing and office facility on Hedon Road, Hull. The decision to invest in the 11 acre new site is a result of the continued business growth, which has seen Eltherington outgrow its existing 5.5 acre site on Dansom Lane South. A move to the new site on Hedon Road, formerly home of Seven Seas, will take place in the near future, following a phase of comprehensive redevelopment work. Eltherington in committed to developing all its staff and has ongoing training and development programmes. 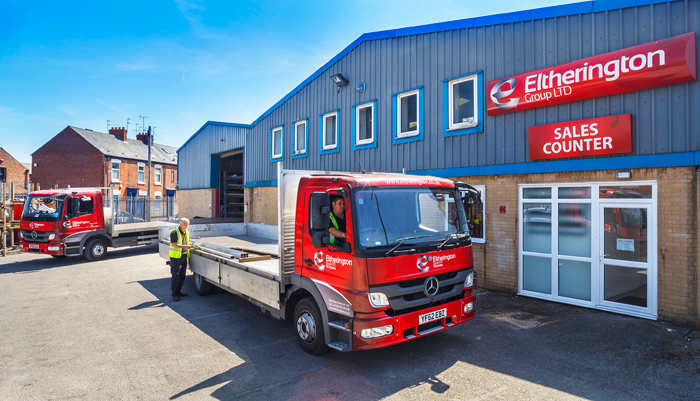 This latest recruitment drive at Eltherington is an indication of just how much the company has grown over recent years. Eltherington is delighted to announce a multi-million pound investment in a new manufacturing and office facility on Hedon Road, Hull. The decision to relocate follows continued expansion of the business, which has seen Eltherington outgrow its existing 5.5 acre site on Dansom Lane South. A move to the new 11 acre site on Hedon Road, formerly home of Seven Seas, will take place in the near future, following a phase of comprehensive redevelopment work. The decision to invest in the new site fulfils Eltherington’s ambition to achieve growth by manufacturing high quality solutions, backed up with outstanding customer service, for each market segment in which it operates; leisure, architectural metalwork and stockholding. The new purpose-built manufacturing spaces will be configured to allow production of our new products which has been the result of working closely with our customers. Over the years this collaboration has resulted in a constant stream of innovative solutions. 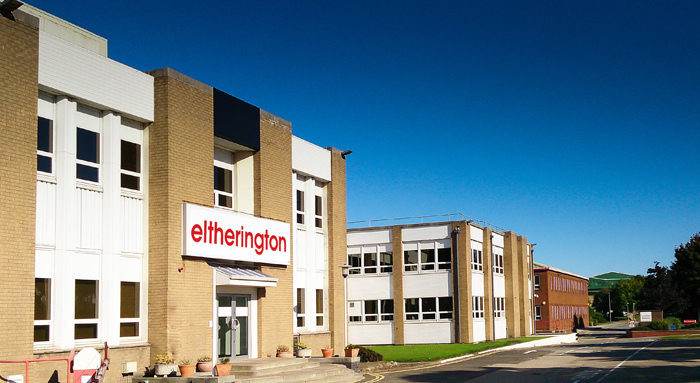 Eltherington is a major employer in Hull with almost 200 staff. The new location on Hedon Road was formerly the site of Seven Seas. 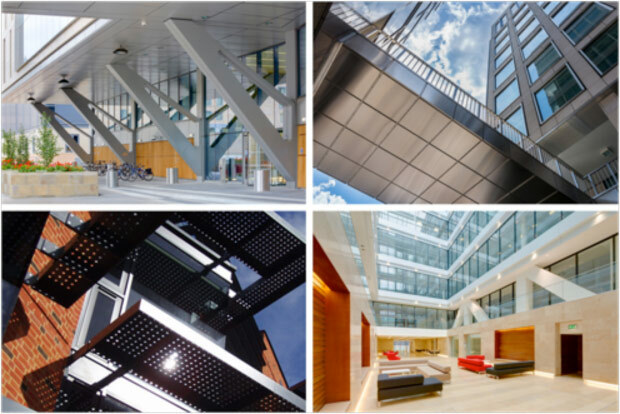 The company has supplied a wide variety of projects including rainscreen cladding for the RIBA award-winning London Southbank University and perforated solar shading for Corpus Christi College at the University of Cambridge. Other projects include cladding for the LBBW Bank, Moscow and, closer to home, Bridgewater Place in Leeds and Birmingham New Street Station. Complementing our aluminium stockholding range is a vast array of high quality PVC-u solutions from leading manufacturers such as Kayflow and Kerrafront. So, whether you are a specifier looking for a high quality PVCue facade for your next project, or a leisure home manufacturer looking to add contemporary appeal to your design, we have a solution. Whether it’s an aluminium wallboard, floorplates treadbars or expanded mesh, we have a solution in stock. These are available nationally and offered on same day or next day delivery (terms and conditions apply). Customers can also source individual stockholding components or utilise our bespoke fabrication services, to create high quality architectural solutions. 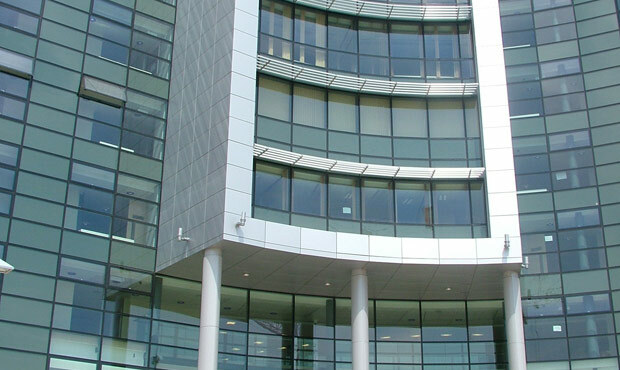 As one of the largest independent aluminium stockholding companies in the UK, we are able to provide an unrivalled range of architectural solutions. 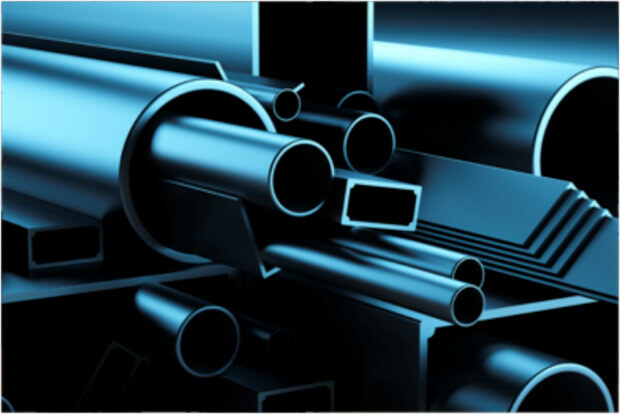 We offer most sheet and extrusions from leading manufacturers such as Hydro and Sapa, all available on a nationwide delivery service. Being one of the largest stockholders of aluminium and PVC-U in the UK, combined with specialist in-house bespoke fabrication capabilities, allows us to offer a wide range of bespoke architectural metalwork solutions. 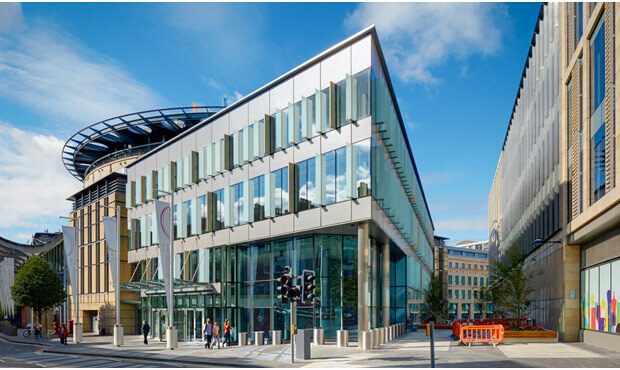 Our facade, roofline and column casing solutions, specified for the Edinburgh International Conference Centre (EICC), have generated a huge surge in enquiries over the last few months from designers looking for a similar inspirational aesthetic. We supplied the EICC with external stainless steel column casings, polyester powder coasted fascia and soffits, as well as internal column casings and aluminium cladding - this high profile venue showcases our architectural metalwork solutions on the inside and the outside! The unprecedented level of enquiries is a result of just how well the completed building looks, which we’ve tried to convey to clients, specifiers and contractors via our website, brochures, nbsPLUS and social media. Take a look for yourself. The unprecedented level of enquiries is a result of just how well the completed building looks, which we’ve tried to convey to clients, specifiers and contractors via our website, brochures, nbsPLUS and social media. Take a look for yourself. We are delighted to unveil METAL SHOWCASE – a 20 page ‘look book’ style brochure that features our full range of high quality architectural metalwork solutions. Whether its rainscren cladding, column casings or roofline, you’ll find designs that really push the boundaries of aesthetics and performance. Each product group has its own dedicated section within METAL SHOWCASE, which allows you to compare and contrast different materials, finishes and designs. We have provided specialist fabrications to SJL House, a prestigious residential development situated on the bank of the River Thames. The apartment block features our striking cladding in blue grey anodised aluminium, alongside our mock / feature beams. Our panels are used around the balconies of the building, to create a prominent contrast between the dip-dye effect orange facade. Our mock feature beams also give the impression of an old fashioned beam, complementing the features of this historic building in the heart of London. 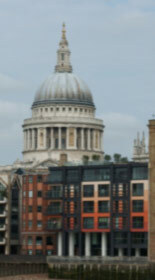 We worked closely with the project’s architect to ensure that the traditional appearance of this building was retained. To do this we manufactured all of the bespoke fabrications in house at our 6 acre state-of-the-art facilities, and we produced the base material from one batch to assist with shade consistency. We have supplied striking spandrel panels to the new build Matthew Boulton College in Birmingham. The college features both our flush edge style spandrel panels and our special edge style spandrel panels, in aluminium polyester powder coated metallic. We’ve also supplied the college with insulated trays for 6mm glass and Double Glazed Units, and thermally approved panels in order to improve the energy efficiency of the building. We worked closely with all parties throughout the project to ensure that our products integrated seamlessly with other building elements. We have manufactured perforated aluminium solar shading for the Minories Shopping Centre in London, meeting the client’s requirements for a 50% free / open area across the facade. The solar shading prevents solar gain in summer, reducing reliance on energy intensive air conditioning units. The perforated aluminium panels, which gives the open area on a 60 degree (triangular )pitch, ensures that the inside of the building still benefits from high levels of natural light. The aluminium is Syntha Pulvin Ral polyester powder coated, with a hole diameter of 15mm. 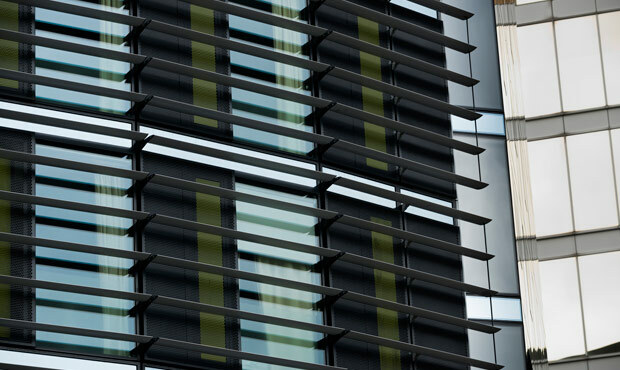 Eltherington curtain walling cladding was also specified to compliment the perforated panels and designed to be fully integrated with the existing curtain walling system. 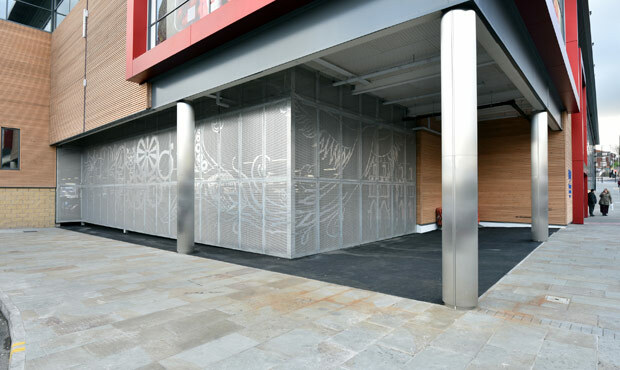 As well as providing the building with energy performance benefits, the perforated panels create a striking aesthetic, which portrays a suitably uplifting first impression for shoppers and visitors. Eltherington is now accredited to BS EN 14001:2004 and the BS OHSAS 18001:2007. That is welcome news for customers working on large contracts that are required to source from suppliers that have recognised quality, environment and safety standards in place. In fact, it offers all of our customers added reassurance that they are dealing with a company that is doing its bit for the environment and ensuring the safety and wellbeing of staff. These new accreditations join our existing BS EN ISO 9001:2008 and have been independently assessed and verified by an external clarification body, the NQA. BS EN ISO 9001:2008 – Quality Management System. We have held the 9001 quality standard since 1992, and have continually built on this success to improve the quality of service and products throughout the group. In March 2015 we achieved BS EN 14001:2004, as part of our commitment to continuous improvement. The company has already seen a huge decrease in waste being sent to landfill and has saved substantial disposal costs since running this Environmental standard. We achieved OSHAS 18001:2007, the Occupational Health and Safety Management System, in April 2015. The standard will help us to minimise the chance of accidents or incidents that could have a detrimental effect on both the staff and the company. As well as these accreditations, we are also a member of to the CWCT, the MPBA and the NCC. 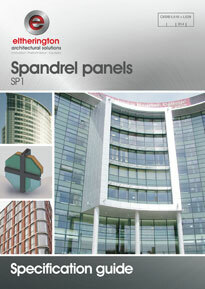 We are pleased to announce the release of our Spandrel Panel specification guide, which you can now download on our website. The quick and easy to follow guide provides architects and specifiers with all of the information they need to be able to confidently specify our high quality Spandrel Panel solutions. 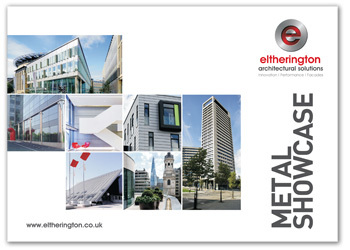 The guide showcases Eltherington’s 50-plus years’ experience of offering specifiers bespoke architectural metalwork solutions, and highlights all of the choices available to you. Take a look at the guide, here. As well as being available on our website, it is also available to download from nbsPlus, where you will find all our specification guides. We have helped one of the UK’s largest grocery chains create a stunning first impression for shoppers, thanks to our architectural metalwork solutions. We supplied the Rotherham store with extra rigid stainless steel column casings in polished satin finish to enhance its architectural aesthetic and withstand bumps and knocks from shopping trolleys. The column casings for the superstore were manufactured at our state-of-the-art facility in Hull, East Yorkshire and were supplied to the site in two halves to allow for rapid installation. Stainless steel was chosen because of its appealing aesthetics and corrosion resistance. The material was chosen by Smith Smalley Architects, the project’s architects. 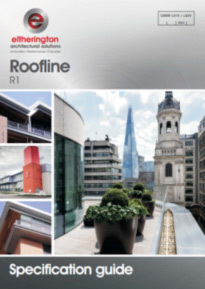 We are delighted to announce the release of our latest specification guide – Roofline. This is now available to download via our website, or be requested as a hard copy from our customer service team. The guide is designed to give architects and specifiers all of the information they need to be able to specify our solutions, in a quick and easy format. Inspirational photography featured in the specification guide showcases some of these solutions, whilst detailed product information highlights the choices available on your current project. 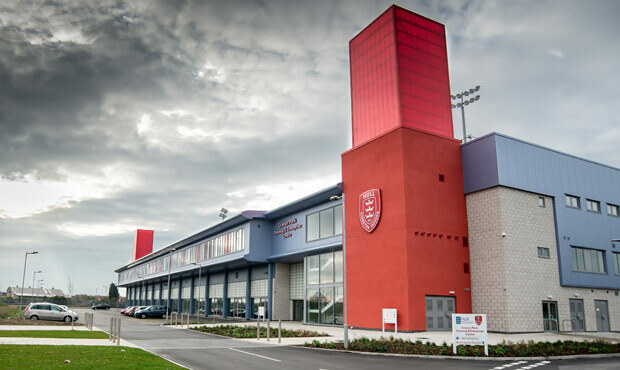 Eltherington has supplied a number of architectural solutions to the Hull KR Rugby League Stadium. The stadium features our column casings, as well as our roofline products, both in an aluminium polyester powder coated (PPC) blue metallic flake finish. Our products were made to match the aerofoil shapes and to suit the clubs specific design requirements. Hull KR Rugby League Stadium was able to choose a finish to match its clubs colours, from our extensive range of PPC shades. We are pleased to announce the latest addition to our suite of specification guides – Modular / Offsite - which has been designed to make it easier for you to source solutions that meet the requirements of modern methods of construction. 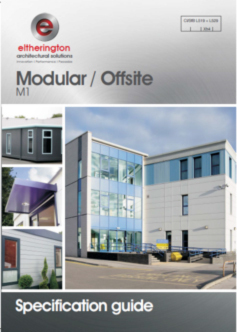 To view and download the specification guide for Modular / Offsite please visit our download page or contact our customer service team to request a printed copy. Plus, our fabrication and cutting service means that we can supply solutions to specific customer requirements, and on short leadtimes.